← A SINCERE APOLOGY TO FUTURE GENERATIONS! Oct. 15, 2013 By Jack Jodell. We Americans love to talk of ourselves as being from “the land of the free” where the individual has “inalienable rights” and where we have “majority rule” because we live a “democracy”. The sad reality, though, is that none of those concepts is actually completely true. Even the Constitution, which so many (especially on the far right) hold in unquestioned reverence, is a flawed document in a number of ways (at least for those of us who are libertines and believe in true, universal equality for all). 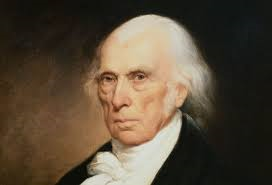 Written chiefly by aristocratic Founding Father James Madison, it contains many pro-wealthy biases which tend to favor business and property owners and a small elite few who have either inherited or acquired great wealth at the expense of workers and the lower classes. For Madison and the other Founding Fathers distrusted the majority of the population, most of whom were not landowners, and were determined to prevent what they viewed as a tyranny of the majority from ever occurring in this country. This “tyranny” they feared would result from too much economic and polical power being spread too widely, which would diminish these aristocrats’ ability to maintain their own holdings as well as their political control. This fear had it roots back in ancient Greece, where those in power greatly feared “mob rule” and were determined to suppress the lower, majority class any way they could. It has manifested itself many times over the centuries, from the prohibition of direct election of senators until 21913, to the adoption of “eminent domain” by the railroad industry to grab all the land it wanted in the 19th century, to the anti-labor riots and killings of the latter 19th and early 20thcentury, to the preposterous Extreme Court decisions of Santa Clara County (1886) and Citizens United (2010), disastrous rulings which granted corporations the same rights as living, breathing human beings and held yhat the ridiculous notion that spending of corporate money is the same as free speech. In each case the wealthy few were legally enabled to assault the rights and well-being of ordinary citizens for their own profit. The few gains that lower classes were able to achieve, notably the legalization of labor unions in the New Deal depression era and the passage of important civil rights legislation during the Great Society years of the mid-1960s came only after great hardship and suffering by many. These beneficial and totally necessary changes are now being assaulted and are trying to be rolled back or diminished by wealthy reactionaries who view them as a threat to their profit. These renegades have no regard at all for the average citizen and view those beneath them as mere objects which must be exploited and oppressed to ensure their protection. Throughout history, many of these paranoid wealthy reactionaries have bitterly opposed progress and true democracy and have engaged many lackeys to help them fuldill their self-serving agenda. Today’s Tea Party, composed of many ignorant, angry, government-hating types, is a perfect current example. 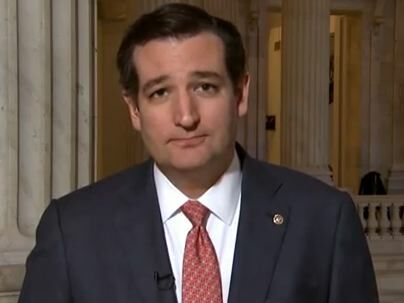 By flooding government with such narrow-minded and uncompromising toadies, the passing of any and all progressive legislation is stymied. In the past, dangerously misled men like Edward Bernays helped this antidemocratic cause by setting up elaborate ruses or distractions to isolate, confuse, and/or stymie the efforts of workers to gain more economic and political rights. 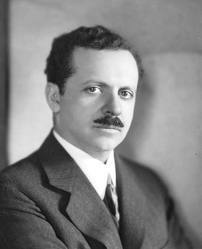 Bernays, the founder of modern American public relations, once stated “The conscious and intelligent manipulation of the organized habits and opinions of the masses is an important element in democratic society. Those who manipulate this unseen mechanism of society constitute an invisible government which is the true ruling power of our country. 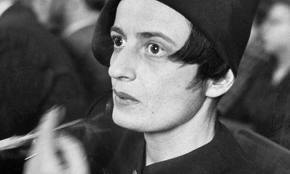 …We are governed, our minds are molded, our tastes formed, our ideas suggested, largely by men we have never heard of. 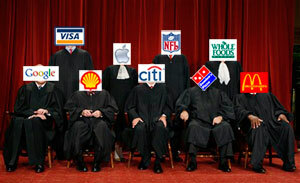 This is a logical result of the way in which our democratic society is organized. Vast numbers of human beings must cooperate in this manner if they are to live together as a smoothly functioning society. …In almost every act of our daily lives, whether in the sphere of politics or business, in our social conduct or our ethical thinking, we are dominated by the relatively small number of persons…who understand the mental processes and social patterns of the masses. It is they who pull the wires which control the public mind.” In other words, to hell with the majority; only the wants of an elite, wealthy minority are important. 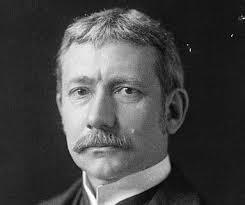 Let us not forget former Senator Elihu Root. He was a bitter opponent of the 17th Amendment, which finally allowed for the direct election of U.S. Senators. 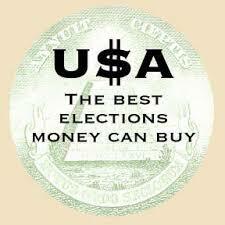 Prior to 1913, they had been elected by state-appointed commissions rather than by direct election from citizen voters. Of course, Root’s opposition isn’t too surprising when one considers that he had been an attorney whose client had once been the Gilded Age giant of steel, Andrew Carnegie. 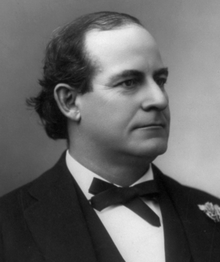 We can all be hrateful that the populist Democrat William Jennings Bryan had worked so hard for so many years to finally get this amendment adopted, otherwise few, if any, of the great progressive breakthroughs we now take for granted would have ever been possible! We owe all of the great progressive reforms which followed, like Social Security. Workman’s Compensation, Medicare and Medicaid, not to mention Civil Rights, which would never have occurred had the great influx of progressive-minded Democratic Senators not been elected thanks in great part to his efforts! With the political and economic deck in this country so stacked against average working citizens as it has been, we in the majority 99% must never abandon our struggle to slow down and even reverse the perilous 30+ year trend of ever-widening income disparity which threatens the continued existence of the middle class and is devastating our poor. If we fail in this endeavor, we shall enter into a long and uncertaum period of economic Dark Ages from which we may never recover from. Face it. friends: the system is rigged against us, and will only hange through our combined efforts! 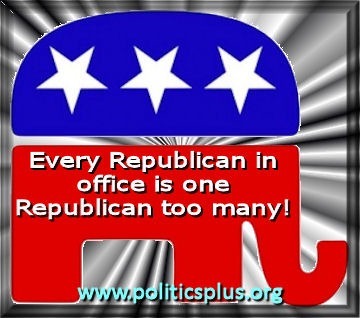 First and foremost, we must work ceaselessly to elect progressive candidates to Congress next year, and throw out every single Tea Party-infested Republican who is currently occupying one of OUR seats! This entry was posted in commentary, corporatist, Democratic Party, economics, History, labor unions, Politics, Progressives, Tea Party, Tea Party-infested reactionary Republican Party, THE MAJORITY 99%, very activist Supreme Court, wealth disparity and tagged Andrew Carnegiw, aristocrats, Ayn Rand, Citizens United, Civil Rights, Edward Bernays, Elihu Root, Extreme Court, Founding Fathers, Gilded Age, Great Society, James Madison, Medicaid, Medicare, New Deal, Santa Clara County, Social Secirity, William Jennings Bryan, Workman's Compensation. Bookmark the permalink. 2 Responses to RIGGED AGAINST US! Good hearing from you again! As usual, we are on the same page, and I’m glad we are!